570 AD (52 years Before Hijrah or Migration to Medina) Muhammad Ibn Abd Allah (Peace be upon him) born in the city of Mecca (a city in the Hejaz, lit. literally “the barrier”, a region in the west of present-day Saudi Arabia), in the Year of the Elephant. (1) The observance of the birthday of the Prophet Muhammad is celebrated on the 12th day of Rabi’ al-Awwal, the third month in the Islamic calendar. According to Ibn Ishaq (2) was a Monday. (3) Secure data used for the estimate of the birth of Muhammad are his first revelation in 610, his migration to Medina in 622 and his death in 632. In the Qur’an, in the Surah (chapter) Yunus 10:6 we can read: «Say, “If Allah had willed, I would not have recited it to you, nor would He have made it known to you, for I had remained among you a lifetime before it. Then will you not reason?”» This ayah (verse) it can be interpreted like between the birth of Muhammad and the first appearance of the Qur’an that had been revealed to him an age of life (‘umr) has passed away. Most of the traditionalists understand that for a sum of forty years. The number forty is widespread throughout the Near East as a sacred number. Some examples are well known: the forty days Moses was on the mountain or Jesus in the desert. 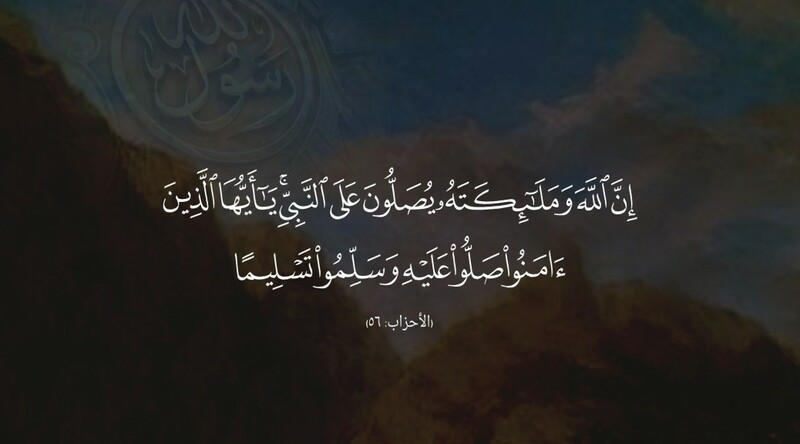 Consequently, the story of Ibn Ishaq about the appointment (mab’ath) of Muhammad starts like this: “When Muhammad, the messenger of God, was forty years old, God sent him for mercy for humanity”. So, there are forty years between the birth of Muhammad (570 AD) and the Muhammad’s first revelation (610 AD). Muhammad born into the clan of Banu Hashim within the tribe of Quraysh in Mecca. Muhammad’s father, Abd Allah ibn Abd al-Muttalib (born c. 546 AD / 76 BH), died shortly before his birth. According to Ibn Ishaq, his grandfather Abd al-Muttalib named him “Muhammad”, a name quite unknown at that time in the Arabian peninsula. The Quraysh (which, like the Hebrew karish, means “shark”) was the most powerful tribe in Mecca and had considerable influence in the surrounding area. Most of its members were worshippers of the traditional Arabian pantheons. 578 (44 BH) Shaybah ibn Hashim (born c. 497), better known as Abd al-Muttalib, the grandfather of Prophet Muhammad, dies. Muhammad was eight years old(8) His father was Hashim ibn Abd Manaf (464-497), the progenitor of the distinguished Hashim clan of the Quraysh tribe of Mecca. They claimed descent from Ibrahim and Ismail. Abd al-Muttalib supplied pilgrims to the Ka’bah with food and water from the well Zamzam, the so called offices Siqaya and Rifada (Food & Beverages). This tradition was established by his the great-grandfather Qusai ibn Kilab ibn Murrah (died 400-480). 583 (39 BH) Muhammad, age 12, accompanied his uncle Abu Talib during trading journeys to Syria. In one of them, his prophetic status was discovered by Bahira, a Christian monk of Busra al-Sham (southern Syria), who, after taking one look at Muhammad, pulled off his shirt to reveal the “seal of prophecy” (khatam an-nubuwwah) between Muhammad’s shoulder blades that the monk recognized from ancient manuscripts. Ahmad Ibn Yahya al-Baladhuri (died 892), one of the most eminent Middle Eastern historians of his age, tells the following story in his Ansab al-A shraf (“Genealogies of the Nobles”): «When the Prophet of God (peace be upon him) had reached the age of twelve, Abu Talib once had to depart to Syria for trade. The Prophet of God (peace be upon him) had a close bond with him […] Then one of the learned monks, whom hey called ‘Bahira’, saw him while a cloud gave him shade. He said to Abu Talib: ‘how is he related to you?’ He answered: ‘he is my nephew’. He said: ‘did you not see how the cloud gives him shade and moves with him?’ By God, he is a noble prophet and I reckon that he is the one who was announced by Jesus. His time has drawn near and it is your duty to protect him’. The Abu Talib sent him back to Mecca.»(11) The story of Muhammad’s encounter with Bahira, or “Sergius the Monk” to the Latin West, is found also in the works of the early Muslim historians Ibn Hisham, Muhammad Ibn Sa’d al-Baghdadi, and Muhammad ibn Jarir al-Tabari. Bahira derives from the Syriac bhira, meaning “tested (by God) and approved”. 591 (31 BH) Muhammad joined a pact of chivalry (futuwwah) for the establishment of justice and the protection of the weak and the oppressed made by certain notables of the Quraysh like Abd Allah ibn Judan, the chief of the clan of Taym and cousin of Abu Bakr al-Siddiq. Az-Zubayr ibn Abd al-Muttalib, chief of the Hashim Clan brought the young Muhammad that took part of the pact. The oath was called Hilf al-Fudul (League of the Virtuous). (12) Muhammad was chosen because his absolute truthfulness, trustworthiness and integrity, his sense of justice and compassion for the poor, oppressed and downtrodden. Al-Amin, the Trustworthy, the Honest, al-Sadiq, the Truthful, were the titles on everybody’s lips for Muhammad, which means itself the Praised One. The Islamic idea and practice of the Futuwwah (lit. “youth” and by extension, “nobleheartness”) starts with this oath of Muhammad. 605 (17 BH) The Ka’bah (lit. “cube”) named the “Holy House” (al-bayt al-haram) and the “Ancient House” (al-bayt al-atiq) was originally constructed by Adam as a sanctuary to Allah and after his death by his son Seth. When the time came, it was rebuilt by Ibrahim and his son Ismail and later by the descendents of Noah. Seventeen years before Hijrah it was rebuilt again following a major fire which had partly destroyed the structure. A Byzantine ship which had been wrecked in the ancient Mecca’s port of Shu’ayba on the Read Sea provided the wood for the Ka’bah, which was built in alternate layers of teakwood and stone by one of the survivors of the wreckage, a Greek artisan called Baqum (Pachomios). «The Quraysh, Muhammad among them, cooperated by collecting stones for the new edifice.»(15) When the time came to replace the Black Stone (al-Hajar al-Aswad), strife broke out between various leaders of the clans demanding the honor of putting it back, leading to so serious a dispute that bloodshed was threatened. A story found in Ibn Ishaq’s Sirah Rasul Allah tells what happen in that occasion. The clans could not agree on which one of them should have the honour of setting the Black Stone back in its place. They decided to wait for the next man to come through the gate and ask him to make the decision. That individual happened to be the 35-year-old Muhammad, five years before his prophethood. He asked the elders of the clans to bring him a cloth and put the Black Stone in its centre. Each of the clan leaders held the corners of the cloth and carried the Black Stone to the right spot. Then, Muhammad himself set the Black Stone in the eastern cornerstone of the Ka’bah, satisfying the honour of all of the clans. (16) Muhammad taught them an unforgettable lesson of unity and solidarity. 610 (12 BH) Muhammad struggled to make sense of humanity’s relationships with God and with one other. He found the paganism with which he had been brought up inadequate, and he was disturbed by the selfishness and immorality he saw in his own town of Mecca. Clearly Muhammad had also learned much about Judaism and Christianity during his trading expeditions. The Muslims had this Qiblah during 13 years, from 610 until 623. 613 (9 BH) Beginning of public preaching of Monotheism. Around this time, Allah through the Holy Qur’an then commanded Muhammad to “admonish your nearest kinsmen”: «You shall preach to the people who are closest to you.» (26:214). Also, refer to this stage, came surah Al-Muddathir (The Cloaked One): «O you who covers himself [with a garment], Arise and warn.» (74-1-2) Being a Prophet (Nabi) during three years, now Muhammad became also a Rasul Allah (God’s Messenger). Reactionary opposition arose to Muhammad’s speeches. According to Ibn Sa’d al-Baghdadi,(26) the opposition in Mecca started when Muhammad delivered verses that “spoke shamefully of the idols they (the Meccans) worshiped and mentioned the perdition of their fathers who died in disbelief.” So, as the ranks of Muhammad’s followers swelled, he became a threat to the local tribes and the rulers of the city, whose wealth rested upon the Ka’bah, the focal point of Meccan religious life, which Muhammad threatened to overthrow. Muhammad’s denunciation of the Meccan traditional religion was especially offensive to his own tribe, the Quraysh, as they were the guardians of the Ka’bah, home of 360 idols. So, a fierce persecution starts against Muhammad and his Muslim fellows, those who only submit to Allah and practises the faith of Islam, the Monotheism of Adam, Noah, Ibrahim, Moses, Joseph, David, Jesus and all the True Prophets of the Only One God. (Peace be upon them). 619 (3 BH) The Year of Sorrow (Am al-Huzn). Prophet Muhammad in this very same year, had to face the death of his beloved wife, Khadijah (Radi Allahu anha – May Allah be pleased with her) and his dear uncle, Abu Talib. 622 July: At the pilgrimage of this year, a delegation of around 75 Muslims of the Banu Aws and Khazraj from Medina came to Mecca, and in addition to restating the formal promises, they also assured Muhammad of their full support and protection if the latter would migrate to their land. They invited him to come to Medina as an arbitrator to reconcile among the hostile tribes. This is known as the Second Treaty or Agreement of Aqabah. Following the pledges, Muhammad encouraged his followers to migrate to Medina, and in a span of two months, nearly all the Muslims of Mecca migrated to Yathrib. The leaders of Quraysh began to fear the Prophet for they realised that he was now strong enough to fight them and had been given leave to do so by Allah. They also knew that he now had the people of Yathrib to help and protect him. Seeing that the Muslims were leaving the city, they decided to kill the Prophet, before he, too, left Mecca to join his followers in Yathrib. In this way they hoped to put an end to Islam once and for all. But they were unsuccessful to stop the Holy Prophet. After living the first 52 years of his life (570-622) in Mecca, Muhammad and Abu Bakr left the city by night in the middle of September and after a while they reached Yathrib on Friday 24 September (12th day of Rabi’ al-Awwal 1 AH) were greeted cordially by its people. (50) Yathrib was renamed Medina from Madinat al-Nabi (“City of the Prophet”) in honor of Muhammad’s prophethood. This journey received the name of Hijrah (Migration) in the Islamic tradition. The Hijrah is also often identified erroneously with the start of the Islamic lunar calendar, which was set to Friday 16 July 622 (1St day of Muharram). Aisha bint Abi Bakr (614-678) becomes the third wife of Prophet Muhammad. Her father was Abu Bakr al-Siddiq from the clan of Taym of the Quraysh and her mother belonged to the Kinana tribe. Aisha was called Umm al-mu’minin “Mother of the Believers”) and she became Muhammad’s favourite wife. (53) (Radi Allahu anha – May Allah be pleased with her). The victory was achieved because of good generalship on Muhammad’s part, and good discipline and high enthusiasm among the Muslims. 625 (3 AH) Spring, Saturday, March 23 (7 Shawwal): Abu Sufyan ibn Harb led another Meccan army north to Medina for revenge after Badr. The two forces met on the hill of Uhud, just north of the Medinan settlement, and Muhammad and his men suffered a near disaster. After a fatal mistake by a detachment of his archers, Muhammad was injured but able to rally his forces. Abu Sufyan, seeing that about seventy Muslims and their allies had been killed, declared a victory and returned to Mecca. Surah 3:121-179 addresses the battle of Uhud. In Jabal Uhud, Muhammad had 754 loyal companions and followers, including Abu-Bakr, Umar ibn AI-Khattab, Uthman ibn Affan, Ali ibn Abi Talib, Hamza ibn Abd al-Muttalib and Musab ibn Umayr. The Meccan army was composed by 3,000 infantry and 200 cavalry led by Khalid ibn al-Walid, a very skilled commander belonged to the clan of Makhzum in the tribe of Quraysh. Raid on Mu’ta. September (1 Jumada al-awwal): Unsuccessful expedition against Byzantine territory, in Mu’ta, Palestine (modern Karak Governorate in Jordan). An Islamic raiding force of 3,000 under Ibn Zayd Ibn Harithah, the Prophet’s adopted son, set off northwards to avenge the murder of Muslim emissaries by the Ghassanids, a northern Arab tribe, who lived in the nominally Romano-Byzantine frontier zone of what is now southern Jordan. Battle of Hunayn. 30th of January (the tenth of Shawwal): Just weeks after the surrender of Mecca, with Muhammad now in command of all of west-central Arabia, a large confederation of tribes from south and east of Mecca, among them The Hawazins and the Thaqifs of Ta’if made one last attempt to stop him by force. Muhammad’s 12,000 men fought an army twice that size at Hunayn (mentioned by name in the Qur’an, 9:25), and once again the Muslims and their allies defeated a much larger force of polytheists. Muhammad’vanguard was led by Khalid Ibn al-Walid. After dividing up the spoils, Muhammad and his followers from Medina returned home, where he consolidated his position. Campaign of Tabuk. From mid-October to mid-December: Muhammad undertook his largest and last military expedition, with a force said to number 30,000 men, to Tabuk, about 400 kilometres northwest of Medina, near the Gulf of Aqaba. Muhammad intention was to show this force to challenge the Byzantines for control of the northern part of the caravan route from Mecca to Syria. (81) The Byzantine army, a huge force under emperor Heraclius who was stationed in Homs (Syria), also had the support of the regional Arab Tribes (Lakhm, Judham, Ghassan, Amila). 632 (10 AH) Farewell pilgrimage (Hijjat l-Wada). The Prophet Muhammad went on pilgrimage to Mecca on the 25th of Dhu’l-Qa’da. The Farewell Pilgrimage was the last Hajj pilgrimage Muhammad, prophet of Islam, participated before his death. As part of this sermon, the Prophet recited a Revelation from Allah which he had just received and which completed the Qur’an, for it was the last passage to be revealed: “This day the disbelievers despair of prevailing against your religion, so fear them not, but fear Me (Allah)! This day have I perfected for you your religion and fulfilled My favor unto you, and it hath been My good pleasure to choose Islam for you as your religion.” (Surah 5, Al-Maidah, Ayah 3). Muhammad al-Bukhari refers to the sermon and quotes part of it in his Sahih al-Bukhari. Part of it is also present in Sahih Muslim and Sunan Abu Dawud. Monday 8 June (the twelfth of Rabi al-Awwal, 11 AH)(100) Muhammad (Peace be upon him), Khatam an-Nabiyyin (Seal of the Prophets), dies at Medina at the age of 63 after an illness and fever, while planning expedition against Byzantium; his leading followers elect his father-in-law Abu Bakr aI-Siddiq as Khalifat Rasul Allah (Vice-regent for the Messenger of Allah), ‘Caliph’, the First of Rashidun (al-Khilafah ar-Rashidah or the “Rightly Guided” caliphs). 570 Byzantine Empire Death of John Philoponus, also known as John the Grammarian or John of Alexandria, an Alexandrian philologist, Aristotelian commentator and Christian theologian, author of a considerable number of philosophical treatises and theological works. Italy Spoleto (an ancient city in the modrn Italian province of Perugia) becomes the capital of an independent duchy under the Lombard chieftain Faroald (died 591 or 592). China Fei Di, emperor of the Chen Dynasty (the fourth and last of the Southern Dynasties in China, 557-589), dies. Arabia The Battle of Hadhramaut took place between the armies of the Sassanid Empire under the command of spahbed Vahrez and Aksumite forces under King Masruq in 570. The Aksumite army was defeated by the Sassanids and Masruq was killed. 571 Persian Empire Expedition sent by Khosrow or Chosroes I (reign 531-579) across central Arabia to Yemen to assist rebellion against Byzantine ally Axum, and installs garrisons in cities. Spain The Visigoths under king Liuvigild invade the Byzantine province Spania (modern Andalusia) and seize the city of Córdoba. He becomes after the death of his brother Liuva I sole ruler of the Visigothic Kingdom. Britain Battle of Bedcanford: The Anglo-Saxons under king Cuthwulf fight against the Britons and conquer the settlements: Aylesbury, Benson, Eynsham and Limbury (this according to the Anglo-Saxon Chronicle). Wuffa becomes the first king of East Anglia, recorded in the Anglo-Saxon royal genealogies. Japan Emperor Kinmei (reign 539-571), the 29th emperor of Japan, according to the traditional order of succession, dies. 572 Byzantine-Sassanid War Emperor Justin II (reign 565-574) refuses to pay the annual tribute to Khosrow I, putting an end to the 50-year peace treaty that is established ten years earlier. The Armenians are considered allies to the Byzantine Empire and Justin sends a Byzantine army into Persian territory, besieging the fortress city of Nusaybin (Mardin, modern Turkey). General Marcian (Greek Markianos), cousin of Emperor Justin II, marches into Armenia to assist successful rebels against the Persians, and then raids Atropatene (modern-day Iranian Azerbaijan). Italy Siege of Pavia: Alboin, king of the Lombards, captures Ticinum (Pavia), after a three-year siege the Byzantine garrison surrenders to the Lombards. The city is of strategic importance, lying at the rivers Po and Ticino, and becomes the capital of the Kingdom of the Lombards. Britain Theodric succeeds his brother Æthelric as king of the Anglo-Saxon kingdom of Bernicia (southeastern Scotland). He rules from 572 to 579. Asia Taspar Qaghan succeeds his brother Muqan Qaghan as ruler (khagan) of the Turkic Khaganate (Central Asia). Mesoamerica The city of Calakmul (modern Mexican state of Campeche) defeats the city of Tikal (modern Guatemala), bringing an end to the First Tikal-Calakmul War. Sky Witness, ruler of Calakmul (since 561), dies. 573 Byzantine-Sassanid War Marcian invades Mesopotamia from Armenia and besieges Nusaybin, and during siege receives news of his dismissal; the Byzantines retreat. Persian forces under command of king Khosrow I capture the Byzantine stronghold of Dara (Mardin Province, modern Turkey) after a six-month siege. Persian army under general Adarmahan raids Syria and sack Apamea (Syria) and Antiochia (modern Antakya, Turkey). Britain The Battle of Arfderydd (Cumbria) is fought between Gwenddoleu ap Ceidio (a Brythonic king) and the sons of Eliffer, Gwrgi and Peredur. The forces of Gwenddoleu are killed, and Myrddin Wyllt (a figure in medieval Welsh legend) goes mad watching this defeat (according to the Annales Cambriae). 574 Italy 13 July: Death of Pope John III (his Papacy began on 17 July 561); Benedict I elected successor but long wait for Imperial confirmation. The Holy See becomes sede vacante. Byzantine Empire Spring-Autumn: Plague in Constantinople. December 7: Emperor Justin II retires due to recurring seizures of insanity; he abdicates the throne in favour of his general Tiberius. Justin proclaims him Caesar and adopts him as his own son. The new emperor adopts the title of Tiberius II Constantine. China Xuan, empress of Northern Zhou Dynasty (ruled northern China from 557 to 581), dies. 575 Italy 2 June: Benedict I succeeds Pope John III as the 62nd Pontifex Maximus. Byzantine Empire Alexander of Tralles (c. 525 – c.605), one of the most eminent Byzantine physician, writes his Twelve Books on Medicine. Austrasia (a territory which formed the northeastern section of the Merovingian Kingdom of the Franks during 567-751) The Franks under Sigibert I pursue his half brother Chilperic I, and conquer the cities Poitiers and Tournai. While he is proclaimed new king of Neustria by the nobles, Sigibert is assassinated at Vitry-en-Artois (Northern Gaul) by hirelings of Fredegund (the Queen consort). Childebert II succeeds his father Sigibert I as king of Austrasia. His mother Brunhilda (c. 543-613) becomes regent and seeks protection from Guntram, king of Burgundy. He adopts Childebert as his own son and heir. A group of Frankish aristocrats rule Austrasia. Spain The Visigoths under king Liuvigild invade the Suebian Kingdom (Northern Spain). Ireland: Áed mac Echach, king of Connacht, dies. 576 Byzantine-Sassanid War A Persian army under king Khosrow I break through the Caucasus into Anatolia (modern Turkey). They attack the cities of Theodosiopolis (Erzurum, modern Turkey) and Caesarea (Kayseri, modern Turkey) but are thwarted. Khosrow is forced to retreat and manages to sack Sebasteia (Sivas, modern Turkey). On the way home, he is intercepted by a Byzantine army under Justinian (strategos, the general in command of a field army) and severely defeated near Melitene (Malatya, modern Turkey). The royal baggage is captured and many Persians are drowned when escaping across the Euphrates. Byzantine Empire Baduarius, a kouropalates (one of the highest Byzantine court title) and son-in-law of the Byzantine emperor Justin II, is sent to Italy to resist the Lombard conquest. He leads an aborted counter-assault against the Lombards and dies soon after. Spain The Visigoths under king Liuvigild establish the capital of their kingdom in Toledo. France May 28: Saint Germain, bishop of Paris, dies. Canonized in 754, he is known in modern times as the “Father of the Poor”. Asia The Göktürks (The Celestial Turks) under Tardu cross the Cimmerian Bosphorus into the Crimea and besiege the city of Panticapaeum (Ukraine). 577 Byzantine-Sassanid War A Byzantine expeditionary force under command of Justinian (strategos) invade Caucasian Albania, launching raids across the Caspian Sea against the Persians. Summer: Tiberius, Byzantine co-ruler, establishes a naval base at Derbent (modern Republic of Dagestan) on the Caspian Sea to construct a Byzantine fleet. Winter: Maurice (Greek Mavrikios) is appointed commander-in-chief of the Byzantine army in the East. He succeeds Justinian, despite complete lack of military experience. Britain The Battle of Deorham (or Dyrham), a decisive military encounter between the West Saxons and the Britons of the West Country. The battle, which was a major victory for the Wessex forces led by Ceawlin and his son, Cuthwine, resulted in the capture of the Brythonic cities of Glevum (Gloucester), Corinium Dobunnorum (Cirencester) and Aquae Sulis (Bath). It also led to the permanent cultural and ethnic separation of Dumnonia (Devon and Cornwall) from Wales. China Winter: Northern Qi, one of the Northern Dynasties, is conquered by Northern Zhou under emperor Wu (reign 561-578). He orders the last ruler Gao Wei and other members of the Gao clan, to commit suicide. Northern China, above the Yangtze River, is once again brought under the control of a single power. A predecessor of the modern match, small sticks of pinewood impregnated with sulfur are first used in China. Besieged by military forces of Northern Zhou and Chen, Northern Qi court ladies use the “lighting sticks” to start fires for cooking and heating. 579 Byzantine-Sassanid War King Khosrow I seeks peace, but dies before an agreement could by reached. The Mesopotamian frontier becomes a stalemate and Maurice (strategos of the East) fortified the borders in Armenia and Syria. Persian Empire Death of ‘Great King’ Khosrow I; after a 48- year reign he has extended his realm from the River Oxus to the Red Sea; is succeeded by his son Hormizd IV (reign 579-590). Italy 30 July: Pope Benedict I dies; Pelagius II, of Gothic family, elected Pope and ordained before November arrival of Imperial ratification. Spain Hermenegild, son of Visigothic king Liuvigild, marries Ingund. He rebels against his father who profess Arianism (a Christian belief that asserts that Jesus Christ is the Son of God who was created by God the Father), starting rebellion in Seville, and declares himself Catholic. 580 Byzantine Empire Al-Mundhir III Ibn al-Harith, king of the Ghassanid Arabs (reign 569-581), visits Constantinople and honoured by Tiberius. Spain After Visigothic King Liuvigild persecutes Catholics, general rebellion joined by his son Hermenegild; Byzantines assist them. Liuvigild calls for an Arian synod in Toledo, which modified several doctrines; he tries to unify the Christians within the Visigothic Kingdom. Italy The Lombards drive the last Ostrogoths across the Alps. During the “Rule of the Dukes” the Lombards adopt Roman titles, names, and traditions. Britain Galam Cennalath (king of the Picts from 550 to 555), dies. 581 Byzantine-Sassanid War A Byzantine army under command of Maurice with support of Ghassanid forces under king Al-Mundhir III fails to capture the Persian capital, Ctesiphon, along the Euphrates. Maurice accuses Al-Mundhir of treason and is brought to Constantinople to face trial. Emperor Tiberius II Constantine treats him well and allows aI-Mundhir with his family a comfortable residence; finally, he was exiled in Sicily with his wife and some of his sons. Al-Nu’man VI, son of Mundhir III (not to be confused with al-Nu’man III Ibn al-Mundhir, last king of the Arab Lakhmids of Hira between 580- 602), revolts with the Arab Ghassanids against the Byzantine Empire after his father is treacherously arrested. Italy The Lombards under Zotto, Duke of Benevento, sack the abbey of Monte Cassino near Naples. The Benedictine monks who survive flee to Rome, but they return to the site, and rebuild the monastery. Asia The Göktürks under Taspar Qaghan besiege the city of Chersonesos Taurica (modern Ukraine) located at the Black Sea, their cavalry keep plundering the steppes of the Crimean Peninsula until 590. Britain The Anglo-Saxons under Ælla (died 588) conquer Deira (Northern England) from the Britons. He becomes the first king of Deira (according to the Anglo-Saxon Chronicle). China The Sui Dynasty (581-618) unified the country for the first time in almost 400 years. 582 Byzantine Empire August 14: Emperor Tiberius II Constantine dies (possibly deliberately poisoned food) at Constantinople after a 7-year reign during which Thrace and Greece have been inundated by the Slavs. He is succeeded by his son-in-law, Maurice, who has commanded the Byzantine army in the war against the Persian Empire. Siege of Sirmium: The Avars under their ruler (khagan) Bayan I, aided by Slavic auxiliary troops, capture the city of Sirmium (Pannonia) after almost a 3- year siege. Bayan establishes a new base of operations within the Byzantine Empire from which he plunders the Balkan Peninsula. Byzantine-Sassanid War Autumn: Maurice elevates John Mystacon to strategos of the East. He sends a Byzantine expeditionary force to Arzanene (Armenia) where they fight a pitched battle at the river Nymphius (Batman River). A Persian army under Tamkhosrau cross the Euphrates River and attack the city of Constantina (Viranşehir, modern Turkey), but he is defeated by the Byzantines and killed. 583 Byzantine Empire Emperor Maurice decides to end the annual tribute to the Avars, a mounted people who have swept across Russia and threatening the Balkan Peninsula. They capture the cities Singidunum (modern Belgrade) and Viminacium (Moesia). The city of Monemvasia (Peloponnese, modern Greece) is founded by people seeking refuge from the Slavs and Avars. Mesoamerica Yohl Ik’nal (died 604) succeeds Kan B’alam I as queen of the Maya city of Palenque (Chiapas, modern Mexico). 584 Byzantine Empire The foundation of the Exarchate of Ravenna; the exarchate is organised into a group of duchies, mainly coastal cities on the Italian Peninsula. The civil and military head of these Byzantine territories, is the exarch (governor) in Ravenna. Spain The Visigoths under king Liuvigild capture the city of Seville after a siege of nearly 2 years. His rebellious son Hermenegild seeks refuge in a church at Córdoba, but is arrested and banished to Tarragona. His wife, Inguld, flees with her son to Africa. 585 Byzantine-Sassanid War The Persian commander, Kardarigan (“black hawk”), begins an unsuccessful siege of Monokarton (Mesopotamia, modern Turkey). Italy Cassiodorus, a Roman statesman and writer, serving in the administration of Theoderic the Great, king of the Ostrogoths, dies. Cassiodorus is rivalled only by Boethius (c. 480-524) in his drive to preserve and explore classical literature during the 6th Century AD. Spain The Visigoths under king Liuvigild devastates the Suevic Kingdom in Gallaecia (northwest Spain). After the conquest Liuvigild reintroduces the Arian Church among the Sueves. Britain Hussa succeeds his brother Frithuwald as king of Bernicia. Creoda becomes king of Mercia (according to the Anglo-Saxon Chronicle). 586 Byzantine-Sassanid War Battle of Solachon (Spring): A Byzantine army under command of Philippicus defeat the Sassanid Persians near Dara. Spain April 21: King Liuvigild dies at Toledo after an 18-year reign and is succeeded by his second son Reccared I.
Britain King Custennin of Dumnonia is converted to Christianity. 587 Byzantine Empire Emperor Maurice builds more fortifications along the Danube frontier, separating the Byzantine Empire from the realm of the Avars and Slavs. Comentiolus, Byzantine general (strategos), assembles an army of 10,000 men at Anchialus (modern Bulgaria). He prepares an ambush for the Avars in the Haemus mountains. Aquitaine Saint Radegund (born c. 520) dies at Poitiers. She was a Thuringian princess and Frankish queen, who founded the Abbey of the Holy Cross at Poitiers. She is the patron saint of several churches in France and England and of Jesus College, Cambridge. Her abbey at Poitiers was named for the relic of the True Cross that Radegund obtained from the Byzantine Emperor Justin II. India Varahamihira (b. 505), astronomer and mathematician, considered to be one of the nine jewels (Navaratnas) of the court of legendary ruler Yashodharman Vikramaditya of Malwa, dies. 588 Byzantine-Sassanid War Unpaid Byzantine troops mutinied against Priscus (strategos of the East). King Hormizd IV begins an Persian offensive, but is defeated at Martyropolis (modern Turkey). Italy The Franks and Burgundians under king Guntram and his nephew Childebert II invade Northern Italy, but suffer a disastrous defeat against the Lombards. The Lombard Kingdom is converted to Roman Catholicism under the rule of king Authari. First Perso-Turkic War A Persian army (12,000 men) under the spahbed (senior army commander) Bahram Chobin supported by Cataphracts (heavy cavalry) ambush the invading Turks, and win a great victory at the battle of the Hyrcanian Rock. China Emperor Wéndi of the Sui Dynasty prepares a campaign against the Chen Dynasty. He amasses 518,000 troops along the northern bank of the Yangtze River, stretching from Sichuan to the Pacific Ocean. 589 Byzantine-Sassanid War A Persian army under Bahram Chobin captures the fortress city of Martyropolis (modern Turkey). First Perso-Turkic War The Sassanid Persians capture the cities Balkh and Herat (Afghanistan). They cross the Oxus River and repulse a Turkic invasion. Asia Tulan Qaghan, son of Ishbara Qaghan, becomes the seventh ruler (khagan) of the Turkic Khaganate. Spain The Third Council of Toledo, called by king Reccared I of the Visigoths, renounces Arianism and embraces Catholicism. 590 Italy 7 February: Death of Pope Pelagius II in plague in Rome; deacon Gregory, former ‘Apocrisiarius’ (ambassador to the imperial court) in Constantinople, elected and tries to decline honour but organizes plague-relief. 3 September: Gregory I consecrated as Pope. The missionary work reached new levels during his pontificate, revolutionized the way of worship for the Catholic Church (Gregorian Chants), liturgy, etc., and was soon canonized after his death in 604 and commonly known as Saint Gregory the Great. Persian Empire King Hormizd IV dismisses Bahram Chobin as commander (spahbed). He revolts and marched with support of the Persian army towards Ctesiphon. February 15: Hormizd IV is deposed and assassinated by Persian nobles. Ruled since 579, he is succeeded by his son Khosrow II as king of the Persian Empire. September: Bahram Chobin defeats the inferior forces of Khosrow II near Ctesiphon. He seizes the throne and proclaims himself as king Bahram VI of Persia. Byzantine Empire March 26: Theodosius, eldest son of Maurice, is proclaimed as co-emperor. He becomes his father’s heir to the Byzantine throne. 591 Byzantine-Sassanid War Emperor Maurice, seeing an opportunity to end the prolonged war to the advantage of Constantinople, assists Khosrow II to regain the Persian throne. He sends an Byzantine army (35,000 men) under Narses (a Byzantine general of Armenian ancestry) into Mesopotamia through Syria. At the same time an expeditionary force in Armenia advance through Caucasian Iberia into Media (modern Azerbaijan). Battle of Blarathon (August): A Persian army of about 40,000 men under king Bahram VI is defeated, in the lowlands near Ganzak (northwestern Iran), by the Byzantines. Bahram flees to seek refuge with the Turks in Central Asia and settled in Fergana. However, after some time, he is murdered by a hired assassin of Khosrow II. Khosrow II is reinstalled as king of the Persian Empire. Peace with Constantinople is concluded after almost a war of 20-years. Maurice receives the Persian provinces of Armenia and Georgia. The recognition of the traditional frontiers and the cessation of subsidies for the Caucasus forts; leaves the Byzantines in a dominant position in their relations with Persia. Persian Empire Yazdin of Kirku (died 627), a Nestorian aristocrat, who served as the financial minister of the king Khosrow II, makes a big improvement of the Sassanid economy and the Persian Empire becomes an economical and commercial power. Mesoamerica May 21: A Mesoamerican ballgame (ollamaliztli in Nahuatl) court is dedicated at the Mayan city of Chinkultic (Chiapas, modern Mexico). 592 Japan Empress Suiko (554-628) becomes the 33rd monarch of Japan, according to the traditional order of succession. 593 Byzantine Empire Spring: Priscus, commander-in-chief in Thrace, defeats the Slavic tribes and Gepids on Byzantine territory south of the Danube. He crosses the river to fight in the uncharted swamps and forests of modem-day Wallachia. Persian Empire The Persian usurper Hormizd V who rises temporarily to power is defeated by king Khosrow II. 596 Austrasia Second regency of Queen Brunhilda after the death of her son Childebert II at the age of twenty-six. 597 Neustrasia (meaning “new [western] land” in contrast to Austrasia, was the western part of the kingdom of the Franks that was created in 511 upon the division of the Merovingian kingdom of Clovis I to his four sons following his death) Queen Fredegund, rival of Brunhilda of Austrasia, who supports the claims of her grandsons Theudebert II and Theuderic II to the Frankish throne against those of Fredegund’s son Chlothar II, dies at Paris and is buried in the Basilica of Saint Denis. Britain Augustine, a Benedictine monk, became the first Archbishop of Canterbury in the year 597. He is considered the “Apostle to the English” and a founder of the English Church. Augustine was the prior of a monastery in Rome when Pope Gregory the Great chose him in 595 to lead a mission, usually known as the Gregorian mission, to Britain to Christianize King Æthelberht and his Kingdom of Kent from Anglo-Saxon paganism. 598 Byzantine Empire Plague in Constantinople and across Empire. India Birth of Brahmagupta (died after 665 in Ujjain), an Indian mathematician and astronomer. He lived in Bhillamala (modern Bhinmal) during the reign of the Chapa dynasty ruler Vyagrahamukha. Brahmagupta was the first to give rules of using zero with negative and positive numbers. 599 Byzantine Empire Emperor Maurice refuses to pay the ransom to free 12,000 Byzantine soldiers taken prisoners by the Avars. Their leader Bayan I orders the execution of the prisoners, and slaughters them all. His failure to buy back the captives destroys Maurice’s popularity with the Byzantine troops in the Balkan Peninsula. Summer: Balkan Campaign: The Byzantine generals Priscus and Comentiolus joint their forces at Singidunum (modern Belgrade) and move downstream to the fortress city of Viminacium (Serbia). The Byzantines cross the Danube River and invade Upper Moesia, where they defeat the Avars in open battle. Priscus pursues the fleeing Avar tribes and invades their homeland in Pannonia. He devastates the land east of the Tisza River, deciding the war for the Byzantines and ending the Avar and Slavic incursions across the Danube. Persia Empire King Khosrow II sends a Persian expedition to South Arabia and conquers Yemen. He establishes a military base to control the sea trade with the East. Mesoamerica The Maya city of Palenque is plundered by king Scroll Serpent of Calakmul (ruled from 579 to 611). 600 Britain Battle of Catraeth (perhaps Catterick, North Yorkshire): The Gododdin under Mynyddog Mwynfawr, Brythonic king of Hen Ogledd (“The Old North”), defeat the Angles of Bernicia and Deira at the stronghold of Catraeth in Northern England. The Navigatio Sancti Brendani Abbatis (Voyage of St. Brendan the Abbott) recounts a 7-year trip to a land across the sea by the Irish saint Brendan of Clonfert (c. 484 – c. 577) and a band of acolytes. Aquitaine Venantius Fortunatus, a poet and hymnodist in the Merovingian Court, dies at Poitiers. He was the last classic thinker and the first medieval poet, and a Bishop of the early Catholic Church. He was never canonised but he was venerated as Saint Venantius Fortunatus during the Middle Ages. Asia The earliest references to chess are made in the Persian work Karnamak-i-Artakhshatr-i-Papakan (Archives of Ardashir, son of Papag, who reigned 224-242 AD), and the Indian works of Subandhu’s Vasavadatta and Banabhatta’s Harsha Charitha. South America The Tiwanaku empire (a Pre-Columbian polity based in western modern Bolivia) becomes an important regional power in the southern Andes. Pacific Ocean Early settlers reached Kauai, Hawaii, on double-hulled sea vessels from Marquesas Islands, which is about 2,000 miles away. These early settlers also brought with them taro, sweet potato, sugar cane, and other plants from their land of origin. 601 Europe The Franks, Merovingians and Carolingians successively control most of Europe while strong feudal lords rise in power to gain the allegiance of the people. Spain Reccared, king of the Visigoths, died at Toledo and was succeeded by his youthful son Liuva II. 602 Byzantine Empire November 27: A civil war breaks out and Phocas (a subaltern officer in the Byzantine army) enters Constantinople. Maurice is captured trying to escape, he is forced to witness the slaughter of his five sons and all his supporters, and is then executed (beheaded) after a 20-year reign. His wife, Constantina and his three daughters are spared, and sent to a monastery. Phocas is proclaimed new emperor of the Byzantine Empire. Byzantine-Sassanid War King Khosrow II launches an offensive against Constantinople, to avenge Maurice’s death, his “friend and father”, and tries to reconquer Byzantine territory. Narses (not to be confused with the great Byzantine general who lives between 478-573), governor of Upper Mesopotamia, rebels against Phocas at the city of Edessa (now Şanlıurfa, Turkey) and requesting the Persians for aid. Khosrow sends an expeditionary force to Armenia and crosses the Euphrates. Persia Empire Khosrow II annexes the Arab Lakhmid Kingdom (Southern Iraq) and puts king Nu’man III Ibn al-Mundhir to death. 603 Byzantine Empire ‘Greens’ and ‘Blues’ Parties fight each other in Constantinople and start a devastating fire along the ‘Mese’ avenue from Forum of Constantine to Palace of Lausus; Phocas represses them with savagery and executes their ‘demarch’ (the person in charge of the demoi or members of the Circus factions) John and others. Britain Battle of Degsastan (possibly Dawstane in Liddesdale, Scotland): King Æthelfrith of Northumbria defeats the combined forces of Strathclyde Britons and Scots under Áedán mac Gabráin, establishing the supremacy of the Angles in the northern part of what will become known as the British Isles. Spain Witteric, commander of the army, led his troops against Liuva II, king of the Visigoths, and execute him. Witteric becomes new king. 604 Italy 12 March: Death of Pope Gregory I ‘the Great’. The Holy See becomes sede vacante. 13 September: Sabinian consecrated as Pope. China Grand Canal, the longest artificial river in the world (1,776 km) linking the Yellow River and Yangtze River, is fully completed. Its main role throughout its history was the transport of grain to the capital. 605 Italy 22 February: Death of Pope Sabinian. Persia Empire As a result of a quarrel between the Lakhmids (Southern Iraq) and king Khosrow II, the Persian frontier with Arabia is no longer guarded. Britain Cearl succeeds Pybba as king of Mercia (English Midlands). India King Harsha of Thanesar establishes a northern Indian Empire and unites the small monarchical states from Punjab to the Indus valley (modern Pakistan). Shashanka is the first recorded independent king of Bengal. He establishes his capital in modern-day Murshidabad. 607 Italy February 19: The vacancy (sede vacante) that has existed on the papal throne since the death last year of Sabinian ends with the election of a Rome-born deacon of the Catholic Church. Boniface III is appointed as the 66th pope, but dies the same year. Byzantine Emperor Phocas bestowed the title “Universal Bishop” upon Boniface III, in an effort to improve relations with Rome. 608 Byzantine Empire Heraclius the Elder (died 610), exarch of Africa, and his son (also named Heraclius) revolt against emperor Phocas, whose regime in Constantinople has become unpopular and violent. Heraclius proclaims himself and his son as consuls, claiming the imperial title-and mint coins with the two wearing the consular robes. Syria and Palaestina Prima revolt. Byzantine-Sassanid War King Khosrow II invades Armenia and raids deep into Anatolia through the Byzantine provinces of Cappadocia, Phrygia, Galatia, and Bithynia. Persian general Shahin Vahmanzadegan (spahbed and a member of the House of Spandiyadh) invades and takes Theodosiopolis (Erzurum, modern Turkey). Italy September 25: Boniface IV succeeds Boniface III as the 67th pope of Rome. 609 Byzantine Empire Nicetas (died after 618/9), cousin of future emperor Heraclius, launches an overland invasion in Egypt. He defeats a Byzantine army under statesman and general Bonos (died 627), Count of the East, outside Alexandria. Persia Empire Battle of Dhi Qar: Arab tribesmen of Bakr Ibn Wa’il defeat a Persian force (5,000 men) at a watering place near Kufa (Southern Iraq). 610 Byzantine Empire Byzantine Empire October 4: Heraclius arrives with a fleet from Africa at Constantinople. Assisted by an uprising in the capital, he overthrows and personally beheads emperor Phocas. Heraclius (reign 610-641) gains the throne with help from his father Heraclius the Elder. His first major act is to change the official language of the Eastern Roman Empire from Latin to Greek (already the language of the vast majority of the population). Because of this, after AD 610 the Empire is customarily referred to as the Byzantine Empire (the term Byzantine is a modern term invented by historians in the 18th century; the people of the Empire itself always referred to themselves as Romious or Romans). Spain Witteric, the usurper king of the Visigoths, dies. Succeeded by Gundemar. 611 Byzantine Empire 20 April: Earthquake at Constantinople; 7 July: Birth of Heraclius’ daughter Epiphania. Byzantine-Sassanid War The Persian army under spahbed Shahrbaraz capture Antioch and most of the remaining Byzantine fortresses in Syria (Apamea and Emesa) and Mesopotamia. King Khosrow II is re-establishing a neo-Persian Empire and intensifies his war effort. The Byzantine army, ruined by defeat and corruption, offers only half-hearted opposition. 612 Byzantine Empire August 13: Empress Eudokia, wife of Heraclius, dies of epilepsy. She leaves two children, and is buried in the Church of the Holy Apostles in Constantinople. Spain Sisebut succeeds Gundemar as king of the Visigoths. He begins a campaign against the remains of Byzantine power in Spania. Mesoamerica October 22: Sak K’uk’ succeeds her father Aj Ne’ Yohl Mat as queen of the Maya state of Palenque (modern Mexico). 613 Byzantine-Sassanid War Heraclius appoints himself commander-in-chief along with his brother Theodore (kouropalates) to solidify command of the army. The Persian army under Shahrbaraz capture the cities of Damascus, Apamea and Emesa. Battle of Antioch: Heraclius mobilished a Byzantine expeditionary force to Antioch (Syria) but is outside the city completely defeated by the Persians. Shahin Vahmanzadegan makes further inroads into Central and Western Anatolia. Shahbaraz defeats Nicetas at Dera’a. 614 Byzantine-Sassanid War A Persian-Jewish army (26,000 men) by Shahrbaraz captures and sack Jerusalem after a 20-day siege. Somewhere between 57,000 and 66,500 citizens are slain; another 35,000 are enslaved, including the Patriarch Zacharias. Many churches in the city (including the Church of the Resurrection or Holy Sepulchre) are burned, and numerous relics, including the True Cross, the Holy Lance, and the Holy Sponge, are carried off to the Persian capital Ctesiphon (Iraq). The Persians destroy the Arab Ghassanid kingdom with capital in Jabiyah (southern Syria), a vassal state of the Byzantine Empire. Italy Bobbio Abbey (Italian: Abbazia di San Colombano), a monastery in the province of Piacenza, Emilia-Romagna, founded by Irish Saint Columbanus (543-615). Britain Mungo, Brythonic apostle and saint, dies. Spain King Sisebut leads Visigothic army to take Cartagena, principal Byzantine garrison in the Peninsula. 615 Italy 25 May: Death of Pope Boniface IV; 19 October Adeodatus I consecrated after Imperial approval sent. Britain Battle of Chester: King Æthelfrith of Northumbria invades Gwynedd (northwest Wales) in order to route out his old enemy, Edwin of Deira. A united Brythonic force (Gwynedd, Powys, Pengwern and Dumnonian warriors) is defeated near Chester. Mesoamerica K’inich Janaab’ Pakal (603-683), ajaw (meaning as “lord”) of the Maya city-state of Palenque, acceded to the throne in July and ruled until his death. During a long reign of 68 years, longest known regnal period in Western Hemisphere history, and the 30th longest worldwide, Pakal was responsible for the construction or extension of some of Palenque’s most notable surviving inscriptions and monumental architecture. 616 Byzantine-Sassanid War The Jews of Jerusalem gain complete control over the city; much of the Byzantine province of Palestine Prima become an autonomous Jewish province of the Persian Empire. The Jewish Temple is rebuilt by Nehemiah ben Hushiel (exilarch of Jerusalem) who establishes a High Priesthood. The Persian army under spahbed Shahin Vahmanzadegan destroys the historic city of Sardis (modern Sart in Turkey’s Manisa Province). Its importance is due to a highway leading from the interior to the Aegean coast. Shahin marched through Anatolia, defeating the Byzantines numerous times. Britain The Battle of Chester, a major victory for the Anglo Saxons over the native Britons near the city of Chester, England. Italy Agilulf, king of the Lombards since 591, dies. 617 Byzantine-Sassanid War The Persian army under Shahin Vahmanzadegan conquer Chalcedon in Anatolia and reach the Bosphorus threatening Constantinople. Emperor Heraclius begins peace negotiations with the Persians promising an annual tribute of a 1,000 talents of gold and silver. Shahin withdrews with his army to Syria to focus on the invasion of Egypt. Arabia The Battle of Bu’ath was fought in 617 between Banu Aus and Banu Khazraj, the Arab tribes of Yathrib (now Medina, in Saudi Arabia), in the south-eastern quarter of the Medinan oasis, belonging to the Jewish tribe of Banu Qurayza. The Aws were supported by the Jewish tribes of Banu Qurayza and Banu Nadir, and by the Arab Bedouins of the Muzayna tribe; the leader of the alliance was Hudayr ibn Simak. The opposing force, led by Amr ibn al-Numan, consisted of the majority of the Khazraj tribe and the Bedouin tribes of Juhayna and Ashja. The Awsite clan of Haritha and the Khazrajite chief Abdullah ibn Ubayy remained neutral. In the course of the battle, the Aws and their allies initially had to retreat, but then they counterattacked and defeated the Khazraj; both leaders of the opposing forces were killed. Despite the victory of the Aws, the outcome of the battle was an uneasy truce rather than a definite settlement. 618 Byzantine-Sassanid War General Shahbaraz takes Gaza and enters Egypt to besiege and take Pelusium; he besieges Empire military headquarters, ‘Babylon’ citadel near Memphis. After defeating the Byzantine garrisons in the Nile Valley, the Persians marched across the Libyan Desert as far as Cyrene. The Persians besiege Alexandria, the defence of the city is led by Nicetas (cousin of emperor Heraclius). The Byzantine resistance is undermined by a blockade of the harbor, the usual grain supplies are cut off from Egypt to Constantinople. Heraclius suspends the free grain-dole in Constantinople due to inability to bring in corn from invaded Egypt. Italy 8 November: Saint Adeodatus I ends his reign as Catholic Pope. China June 18: The Sui dynasty ends: The rebel leader Li Yuan captures Luoyang and has emperor Yángdi murdered. He proclaims himself emperor Gao Zu and establishes the Tang dynasty, one of the most notable dynasties in Chinese history, which will last for almost 300 years (618-907). 619 Byzantine-Sassanid War The besieged city of Alexandria is captured by the Persians. Nicetas, cousin of emperor Heraclius, and Chalcedonian patriarch, John V, flee to Cyprus. King Khosrow II extends his rule southwards along the Nile. Heraclius prepares to leave Constantinople and moves the Byzantine capital to Carthage, but is convinced to stay by Sergius I, patriarch of Constantinople. He begins to rebuild the Byzantine army with the aid of funds of Church treasures. Byzantine Empire Death of the great Palestinian monastic traveller John Moschus, who since 578 has wandered throughout the Orthodox world and wrote up his experiences in his book The Spiritual Meadow; buried at his monastery of St. Theodosius, sacked by Persians in 614, by his younger travelling-companion Sophronius ‘the Sophist’. Italy 23 December: Boniface V finally consecrated after delay in Heraclius’ confirmation as the 69th pope of Rome. Britain Mellitus (died 624), the first Bishop of London in the Saxon period, becomes the third Archbishop of Canterbury. 620 Byzantine-Sassanid War King Khosrow II captures Ancyra (Ankara, capital of modern Turkey), an important Byzantine military base in central Anatolia. After the conquest of Egypt and Palestine he restores the Persian Empire as it existed in 490 BC under Darius I.
India King Pulakeshin II defeats the Harsha army on the banks of the Narmada River. Harsha loses a major part of his elephant force and retreats. A truce establishes Narmada as the northern boundary of the Chalukya Kingdom (543-753). 621 Spain King Sisebut dies after a 9-year reign and is succeeded by his son Reccared II (just a child). He is placed on the throne by the Visigothic nobility, but dies after two months. Suintila, half- uncle and regent, becomes king of the Visigothic Kingdom. 622 Byzantine-Sassanid War Emperor Heraclius sails from Constantinople with an expeditionary force (probably 50,000 men) and starts a counter-offensive against the Persian Empire. His young son, Constantine III, is left behind as regent under the charge of Sergius I, patriarch of Constantinople, and patrician Bonus. He lands a few days later at Pylae in Bithynia (Northern Anatolia). Cappadocia: Heraclius defeats the Persian forces under Shahrbaraz. He recaptures Anatolia, but returns to Constantinople to deal with the threat pose to his Balkan domains by the Avars and puts the Byzantine army into winter quarters in Pontus. Byzantine Empire The Slavs invade the area around Thessaloniki which is unsuccessfully besieged. The city become a Byzantine enclave surrounded by Slavic territory. Central Asia The Western Turks conquer the Oxus valley and cooperate with Heraclius against Sasanian Persia, taking Khorasan (modern Afghanistan). 623 Byzantine-Sassanid War Heraclius sails with 5,000 reinforcements to join the Byzantine army at Trapezus. Raising additional forces in Pontus, Heraclius strikes through the mountains of Armenia and the northern sub-Caucasian principalities. He plunders Media (Azerbaijan) and avoids the Persian armies who attempt to trap him. Shahbaraz attacks Heraclius during eclipse of moon but defeated. 624 Byzantine-Sassanid War 25 March: Heraclius leaves Constantinople with army, celebrates Easter at Nicomedia, and heads for Pontus to prepare invasion of Persia from less-defended Northern mountain frontier. Heraclius advances with an expeditionary force (40,000 men) along the Araxes River, destroying the fortress city of Dvin, capital of Armenia, and Nakhchivan (modern Azerbaijan). At Ganzak, Heraclius defeats the Persian army and destroys the famous fire temple at Takht-e Soleymän, an important Zoroastrian shrine. He winters his army in Caucasian Albania to gather forces for the next year. Winter: King Khosrow II, withdraws most of his troops from Chalcedon (Anatolia), he assembles three armies to trap and destroy Heraclius’ forces. The Persians go into winter quarters nearby, but Heraclius attacks them at Tigranakert (Western Armenia). Routing the forces of the generals Shahin Vahmanzadegan and Shahraplakan. The Byzantines destroy their baggage train. Spain The Visigoths under king Suintila recapture the Byzantine territories of Spania (Andalusia) after 70 years of occupation. Only the Balearic Islands stay a part of the Byzantine Empire. 625 Byzantine-Sassanid War Heraclius marched with his forces west through the mountains of Corduene. In less than seven days, he bypasses Mount Ararat and captures along the Arsanias River the strategic fortresses Amida and Martyropolis on the upper Tigris. The Persian army in northern Mesopotamia withdraw westward across the Euphrates. Heraclius pursues into Cilicia, accompanied by a great train of booty. Battle of Sarus: Heraclius is victorious in a Byzantine assault river crossing. The reinforced Persians under Shahrbaraz are defeated along the Sarus River near Adana (modern Turkey). He recaptures Cappadocia and Pontus, and returns to Trapezus to spend the winter. Shahrbaraz retreats in good order, and is able to continue his advance through Asia Minor towards Constantinople. Italy 25 October: Death of Boniface V; 27 October: Honorius I elected as the 70th pope. 626 Byzantine Empire Siege of Constantinople: A horde of Avars, consisting of about 80,000 men attack the walls of Constantinople. A small Persian army arrive on the Bosphorus on the Asiatic side. The Theodosian Walls are stormed. The defense of the capital (12,000 well-trained Byzantine troops) is in the hands of patriarch Sergius I and Bonus (magister militum). July 31: The Avars and Persian allies under Shahrbaraz launch an attack along the entire length of the Theodosian Walls (about 5.7 kilometre), the main effort is concentrated against the central section. After a fierce infantry battle on the walls, the Byzantine army hold off many assaults on the city. Emperor Heraclius makes arrangements for a new army under his brother Theodore to operate against the Persians in western Anatolia while he returns to his own army in Pontus. August 7: In the waters of the Golden Horn the Persian fleet is destroyed while ferrying reinforcements. The Avars, having suffer terrible losses, running short of food and supplies, burn their siege engines. They abandon the siege and retreat to the Balkan Peninsula. The Byzantines achieve a decisive victory at Blachernae. Spain Historia de regibus Gothorum, Vandalorum et Suevorum (A History of the Gothic, Vandal and Suebi kings) written by Saint Isidore of Seville (c. 560-636) becomes popular. 627 Byzantine-Sassanid War Spring: Emperor Heraclius sweeps through southern Armenia with a 50,000 expeditionary force, recapturing most of the Byzantine fortresses lost to the Persians ten and fifteen years earlier. The army of Shahrbaraz, still in Anatolia, is now cut off completely. Hearing from Byzantine agents (showing him letters) that king Khosrow II, dissatisfied with his failure to capture Constantinople, is planning to have him executed, he surrenders to Heraclius, refusing to join the Byzantine army against his ungrateful sovereign. December 12: Battle of Nineveh: Heraclius crosses the Great Zab River and defeats, in a feigned retreat, the Persian army (12,000 men) under Rhahzadh near the ruins of Nineveh (Iraq). Although wounded, Heraclius refuses to leave the battlefield, and in a final cavalry charge personally kills the Persian general. Britain King Edwin of Northumbria (reign 616-633) converted to Christianity. After he fell at the Battle of Hatfield Chase (12 October 633), he was venerated as a saint. Saint Bede the Venerable (c. 673-735) reports these events in his Historia ecclesiastica gentis Anglorum (The Ecclesiastical History of the English People) the work that gained him the title “The Father of English History”. 628 Byzantine-Sassanid War Winter: Heraclius plunders the city palace of Dastgird (Iran) and gains tremendous riches (also recovering 300 captured Byzantine flags). He turns north-eastward to Caucasian Albania to rest his army. Khosrow II flees to the mountains of Susiana to rally support for the defense of the Persian capital Ctesiphon in Iraq. February 25: Khosrow II, the last great king of the Sasanian Empire, is overthrown by his son Kavadh II. A devastating plague kills half of the population in Western Persia, including Kavadh II. September 6: Ardashir III, age 7, succeeds his father Kavadh II. Byzantine Empire After his victory over the Persians, Heraclius is said to have dreamed that destruction threatened the Byzantine Empire through a circumcised people. He therefore proposed to destroy all Jews (traditional allies of the Persians) who would not become Christians; and he is reported to have counseled Dagobert I, king of the Franks (623-639), to do the same. India Astronomer and mathematician Brahmagupta writes the Brahmasphutasiddhanta, a very advanced mathematics book, including rules for computing with zero. 629 Byzantine Empire September 14: Emperor Heraclius enters Constantinople in triumph. In a ceremonial parade, accompanied by the True Cross, he is welcomed by the citizens and his son Heraclius Constantine. Jerusalem is reconquered by the Byzantines (after 15 years of occupation) from the Persian Empire. The war ends and a new Golden Age begins for the Byzantine Empire. First Imperial law using the Greek title ‘Basileus’; significant in transformation from Latin to Greek as language of Statebusiness. Spain Fall of last Byzantine possessions, coastal towns around Malaga, to Visigoths. Byzantine-Sassanid War Shahbaraz returns to Persia as regent for Ardashir, and restores the ‘True Cross’ to Heraclius’ envoy David; Persians evacuate Egypt, Syria and Palestine and Theodore’s Byzantine army marches into Syria; 28 October: the returned ‘Holy Lance’ from Crucifixion arrives in Constantinople. Mesoamerica The Maya military outpost of Dos Pilas (Guatemala) is founded in order to control trade routes in the Petexbatún region. B’alaj Chan K’awiil is installed as its leader by his father, K’inich Muwaan Jol II, the ruler of Tikal. 630 Byzantine Empire Heraclius in Syria, with base at Hierapolis to watch events in Persia; he enters Jerusalem in triumph (21 March) to restore the ‘True Cross’ to the Church of the Holy Sepulchre; he allows massacres of Jewish ‘collaborators’ and commences plans to enforce reunion of all Eastern Christian churches. Persian Empire April 27: King Ardashir III, age 9, is murdered after an 18 month reign. He is succeeded by Shahrbaraz who becomes ruler (shah) of the Sasanian Empire. Chorpan Tarkhan, general of the Khazars, invades and devastates Armenia. He defeats a Persian cavalry force (10,000 men) sent by Shahrbaraz to repel the invasion. June 9: Shahrbaraz is killed and succeeded by Borandukht, daughter of former king Khosrow II. She ascends the throne as 26th monarch of Persia. She was the first and one of only two women to rule the Sasanian Empire. Britain Eanswith, daughter of king Eadbald of Kent, founds the Benedictine Folkestone Priory, the first nunnery in England. Asia Illig Qaghan, ruler (khagan) of the Eastern Turkic Khaganate, is captured by Chinese general Li Jing (571-649) during the Tang campaign against the Eastern Turks. China Chinese porcelain is widely produced. 631 Persian Empire Azarmidokht (daughter of king Khosrow II) succeeds Shapur-i Shahrvaraz (also known as Shapur V, a usurper, son of Shahrbaraz, who reigned for a short time) as monarch of the Sasanian Empire. Azarmidokht is succeeded after a few months reign by Khosrow IV who becomes new ruler (shah) of Persia. Hormizd VI proclaims himself king in Nusaybin (modern Turkey). He seizes the throne and will reign for a while. His rule seems to coincide with other pretenders so it is likely that he ruled a district or province rather than the Empire in its entirety. Central Europe Battle of Wogastisburg: The Slavs under king Samo defeat the Austrasian Franks in a three-day battle near Trenčin (modern Slovakia). King Dagobert I is forced to retreat, the Franks with their allies are slaughtered. Samo invades Thuringia and undertakes looting raids. Spain King Suintila is overthrown after a 10-year reign by his son Sisenand, with aid of Dagobert I. The Visigothic nobles offer him a 500-pound plate made of pure gold. Sisenand becomes new king of the Visigothic Kingdom (reign 631-636) and declares his father a tyrant for his many crimes. Britain King Edwin of Northumbria re-fortifies the city walls of York, probably including the building of the so-called Anglian Tower. 632 Byzantine Empire 31 May: Heraclius orders the baptism of all Jews in Africa; possibly extended to other provinces. Persian Empire June 16: Yazdegerd III, age 8, ascends to the throne as king (shah) of the Persian Empire. He becomes the last ruler of the Sassanid Dynasty. The Zoroastrian calendar used regnal years since the reform by Ardeshir I (reign 224-242), but the ascension of Yazdegerd III crowned June 16, 632, continued to be used as the reference year, abbreviated Y.Z. or “Yazdegerd era”. Neustrasia King Charibert II is assassinated at Blaye (Gironde)- possibly on orders of his half-brother Dagobert I-along with his infant son. He became the most powerful Merovingian king in the West. Korea Seondeok is crowned queen of Silla (one of the Three Kingdoms of Korea). She was Silla’s twenty-seventh ruler, and its first reigning queen (632-647). She was the second female sovereign in East Asian history and encouraged a renaissance in thought, literature, and the arts in Silla. The Chronicle of John, Bishop of Nikiu. Translated by R. H.
Charles. London: The Text and Translation Society, 1916. Sebeos, The Armenian History. Translated by R. Davis. Liverpool: Liverpool University Press 1999. The Chronicle of John Malalas: A Translation. By Elizabeth & Michael Jeffreys, Roger Scott et al. Melbourne: Australian Association for Byzantine Studies, 1986. The Chronicle of Theophanes Confessor: Byzantine and Near Eastern History AD 284-813. Translated with commentary by Cyril Mango and Michael Scott. Oxford: Clarendon Press, 1997. The Syriac Chronicle of Zachariah of Mytilene. Translated by Frederick John Hamilton and Ernest Walter Brooks. London: Methuen & Co., 1899. Bonfil, Robert and Irshai, Oded (Editors). Jews in Byzantium: Dialectics of Minority and Majority Cultures. Leiden: Brill Academic Publishers, 2012. Brown, T. S. Gentlemen and Officers: Imperial Administration and Aristocratic Power in Byzantine Italy, AD 554-800. Rome: British School at Rome, 1984. Carmack, Robert M., Gasco, Janine L., and Gossen, Gary H.
(Editors). The Legacy of Mesoamerica. History and Culture of a Native American Civilization. London and New York: Routledge, 2006. Crawford, Peter. The War of the Three Gods: Romans, Persians and the Rise of Islam. Barnsley, South Yorkshire: Pen & Sword, 2013. Downey, Glanville. A History of Antioch in Syria: From Seleucus to the Arab Conquest. Princeton: Princeton University Press, 1974. Fisher, Greg. Between Empires: Arabs, Romans, and Sasanians in Late Antiquity. Oxford and New York: Oxford University Press, 2011. Fouracre, Paul (Editor). The New Cambridge Medieval History: Volume 1, c.500-c.700. Cambridge: Cambridge University Press, 2015. Grabar, Andre. Byzantium from the Death of Theodosius to the Rise of Islam. London: Thames and Hudson, 1966. Greatrex, Geoffrey & Lieu, Samuel N. C. The Roman Eastern Frontier and the Persian Wars. Part II Ad 363-630. London and New York; Routledge, 2007. Haldon, John. Byzantium in the Seventh Century. Cambridge University Press, 1990. Kaegi, Walter E. Muslim Expansion and Byzantine Collapse in North Africa. Cambridge: Cambridge University Press, 2015. Heraclius, Emperor of Byzantium. Cambridge: Cambridge University Press, 2003. Byzantium and the Early Islamic Conquests. Cambridge: Cambridge University Press, 1995. Kolata, Alan L. The Tiwanaku: Portrait of an Andean Civilization. Cambridge, Massachusetts: Wiley-Blackwell, 1993. Martindale, John Robert; Jones, Arnold Hugh Martin; Morris, J. (eds.). The Prosopography of the Later Roman Empire, Volume III: A.D. 527-641. Cambridge: Cambridge University Press, 1992. Sabloff, Jeremy A. (Editor). Tikal: Dynasties, Foreigners, and Affairs of State: Advancing Maya Archaeology. Santa Fe, New Mexico: School for Advanced Research Press, 2003. Stavrianos, Leften. A Global History: From Prehistory to the 21st Century. London: Pearson, 1998. Stenton, Frank M. Anglo-Saxon England. Oxford and New York: Oxford University Press, 2002. Stratos, Andrea N. Byzantium in the Seventh Century I, 602-634. Amsterdam: Adolf M. Hakkert, 1968. Vassiliev, Aleksandr Aleksandrovich, Grégoire, Henri, Canard, Marius et Honigmann, Ernst. Byzance et les Arabes, vols 1 & 2. Brussels: Éditions de l’Institut de Philologie et d’Histoire Orientales et Slaves, 1935-1968. Wise Bauer, Susan. The History of the Medieval World: From the Conversion of Constantine to the First Crusade. New York: W.W. Norton & Company, 2010.